Start with a clean copy of your front blouse from last time. Decide how big your button will be. 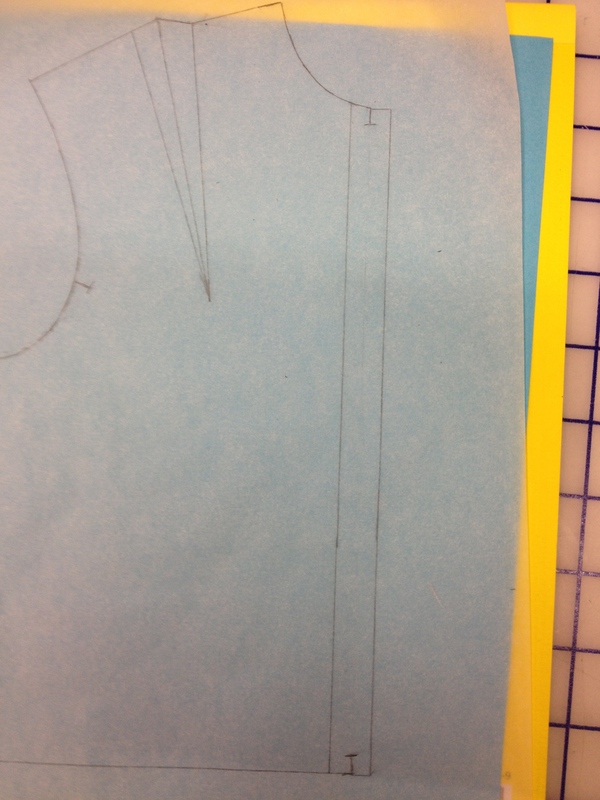 We are using 1/4″ (1/2″ in full size) here. 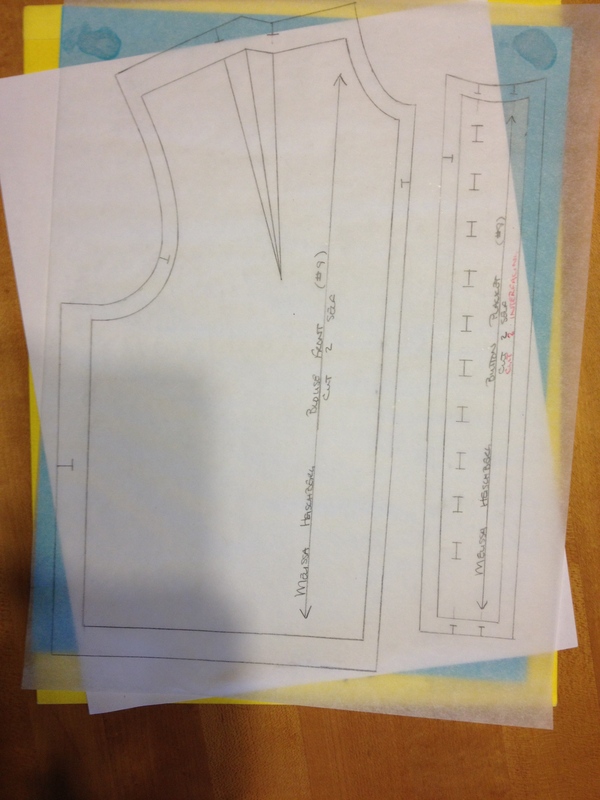 Draw a line that far inside the body of your blouse. Draw a line that far outside of your blouse as well. this will give you a button that is centered in a place twice the size of the button. You can adjust this guide to suit your taste. 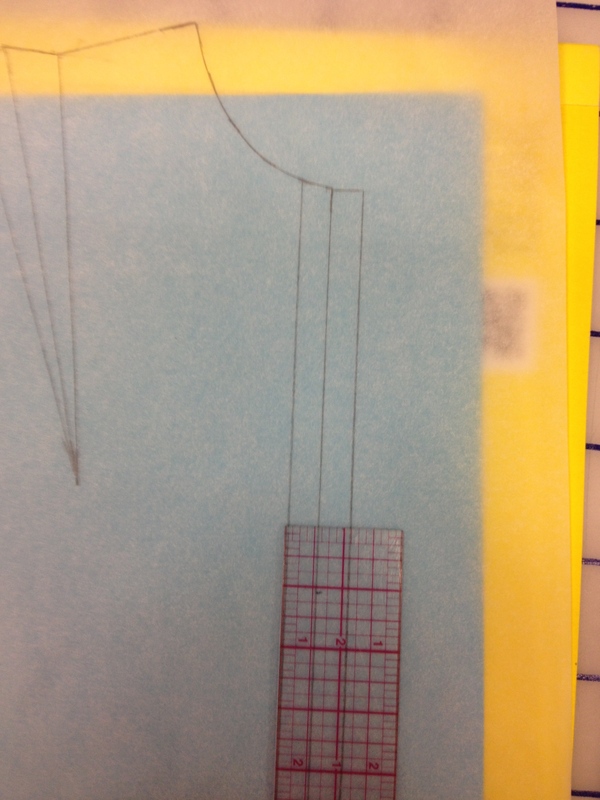 Erase the center line, except for two bits that become notches. 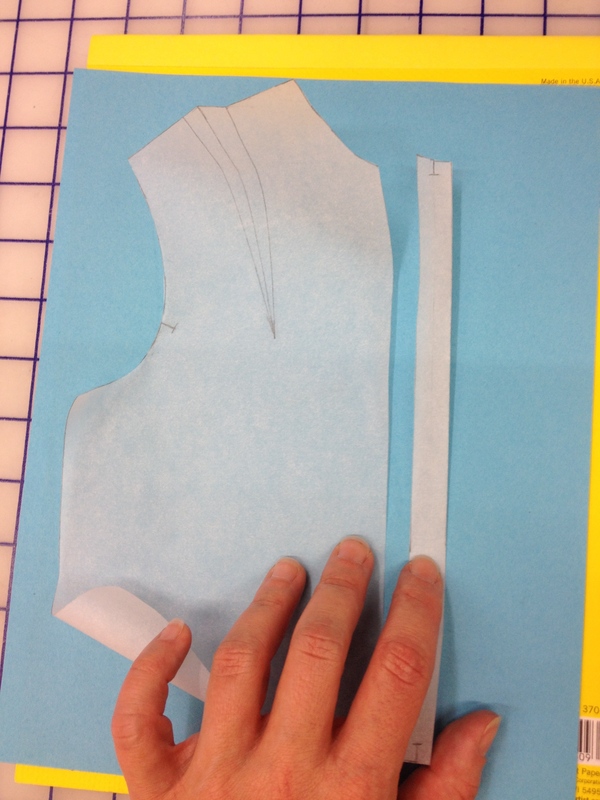 Your buttonholes/buttons will be centered on this line, but for now it’s too much in a tight space. 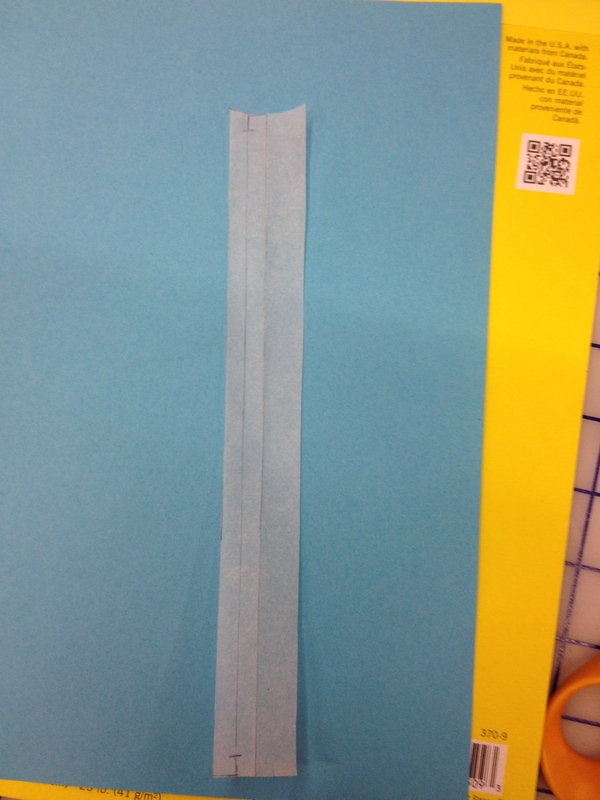 Fold your tracing paper on the front edge. 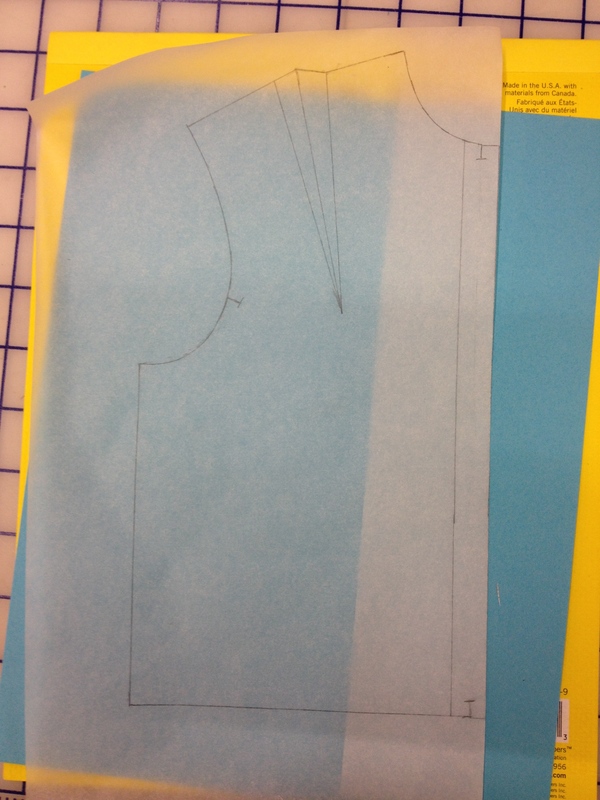 Now cut down the placket line – that’s the first line you drew, one button inside the body. 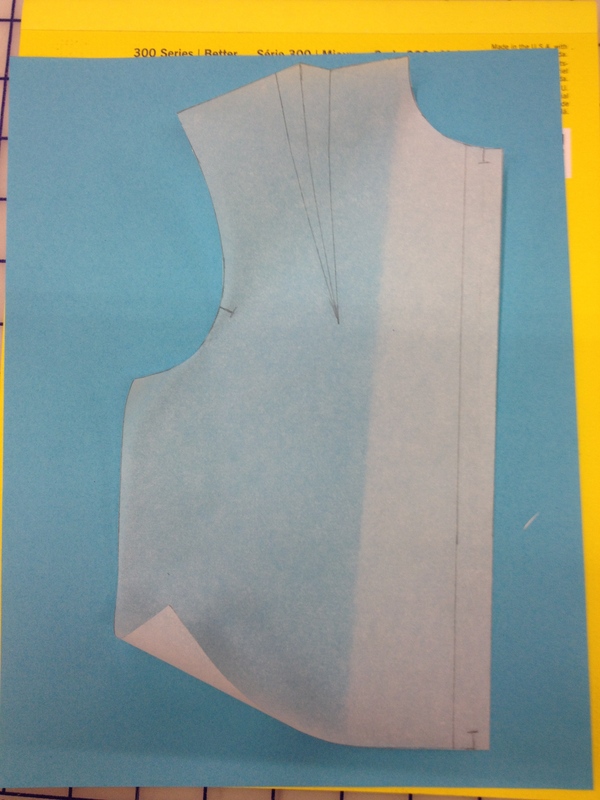 This will leave you with three pieces: The body ( flat, keep), the placket (folded, keep) and some excess (behind the body and flat, throw away). You should keep only the two pieces shown here. 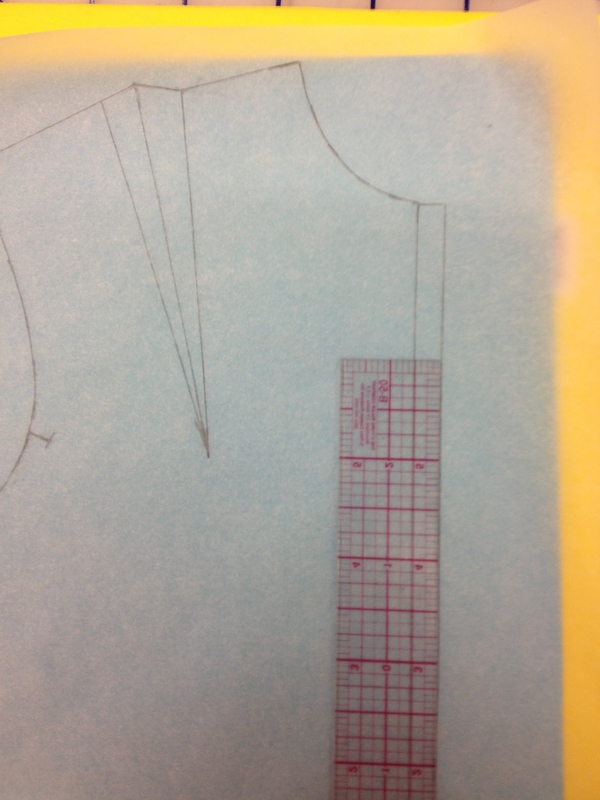 To properly fold your placket, your stitcher will need two notches to match up. 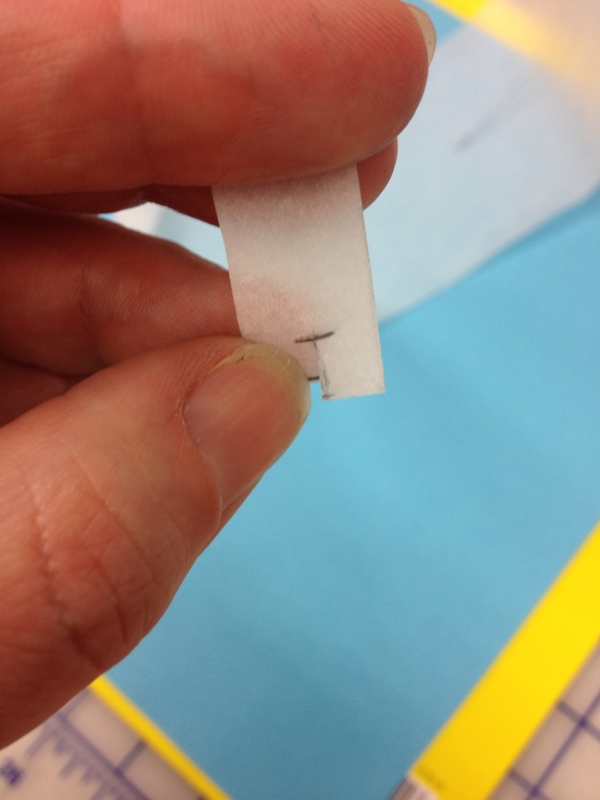 Clip through your existing notch to transfer it to the backside of the placket. 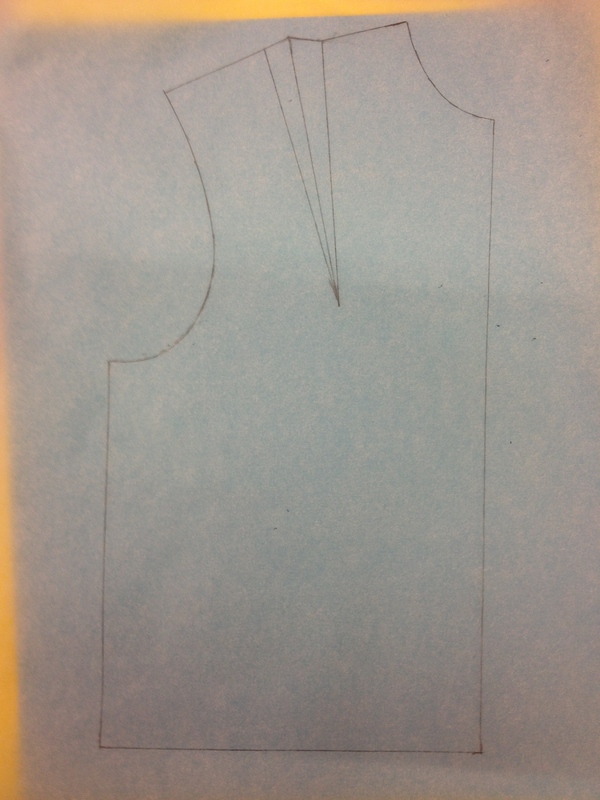 The full placket piece – notice how the neckline (top) reverses its curve. Your teacher is probably looking for both the curve and the reverse of the curve. Finished pieces with all their patterning info.